This week, 5th-11th March, is National Pie Week! 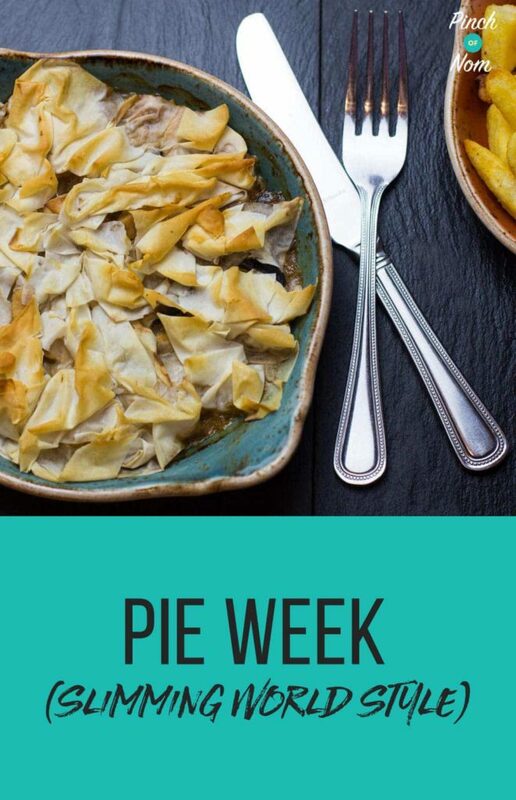 Of course, when you’re following Slimming World, a thick pastry crust is off the menu, so we’re here to bring you our top tips for surviving National Pie Week! In pre-Slimming World days, I would think nothing of demolishing a steak pie with lashings of gravy, but the Syns would be eye-watering! 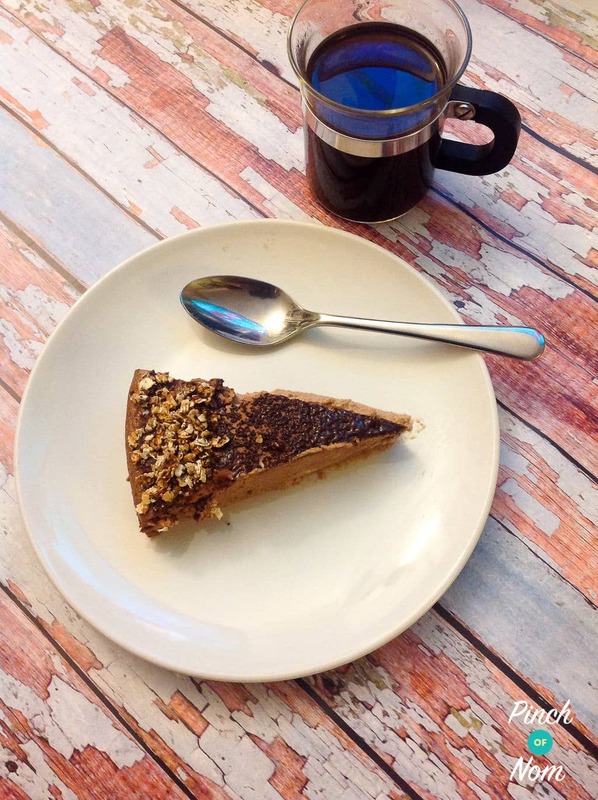 Fortunately, we have lots of delicious alternatives to satisfy the pie cravings on the Pinch of Nom website, so we’ve gathered a few ideas here for you. A good Steak and Mushroom Pie has to be one of the more traditional choices when it comes to pies. Our 2 Syn Steak and Mushroom Pie even has a pastry topping! We have chosen Filo pastry as a topping for this pie, as it still gives you the crispy pastry element, without the high Syn count! You can also use this Steak and Mushroom filling in pasties, following the instructions for our 1 Syn Corned Beef Pasties recipe. What a great alternative! 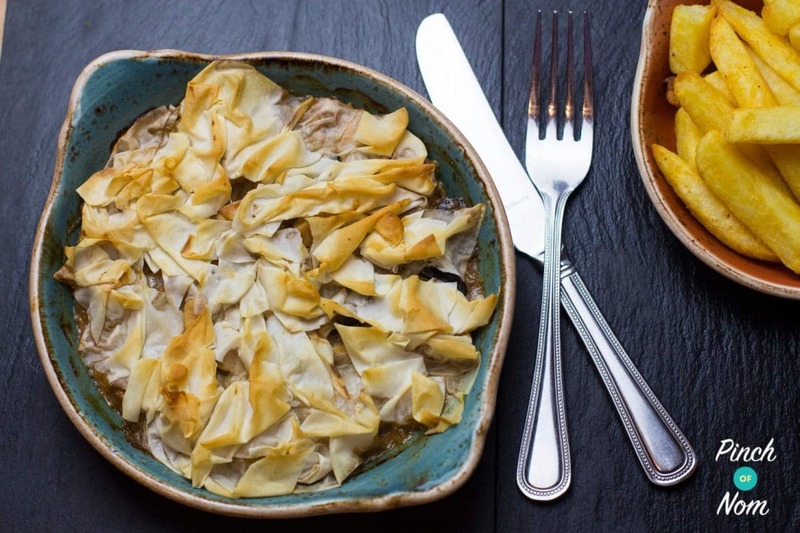 If you don’t fancy steak, why not try our 2 Syn Chicken and Mushroom Pie? 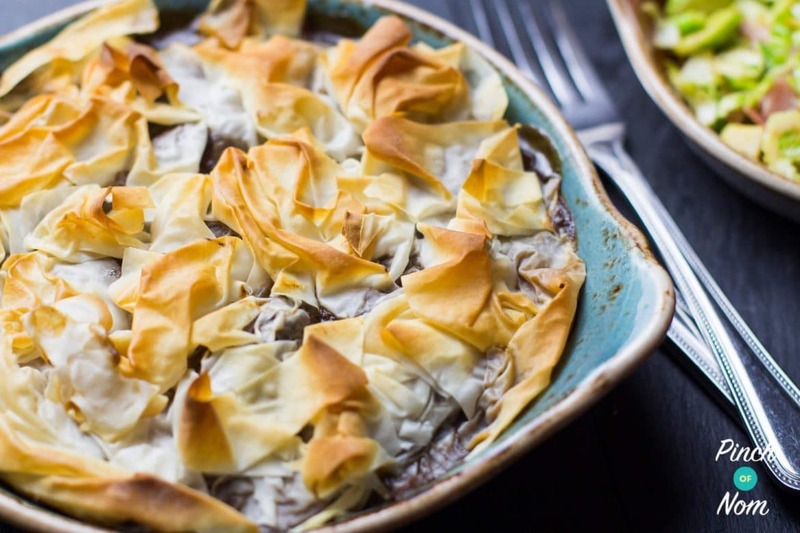 It has the same delicious, crispy Filo pastry topping as the Steak and Mushroom combination, so you get that satisfying crunch as you serve it up. Nom! We can’t talk about pastry without talking about pasties! Our famous 1 Syn Corned Beef Pasties or Syn Free Cheese and Onion Pasties really do hit the spot when it comes to a Fakeaway pastry treat. 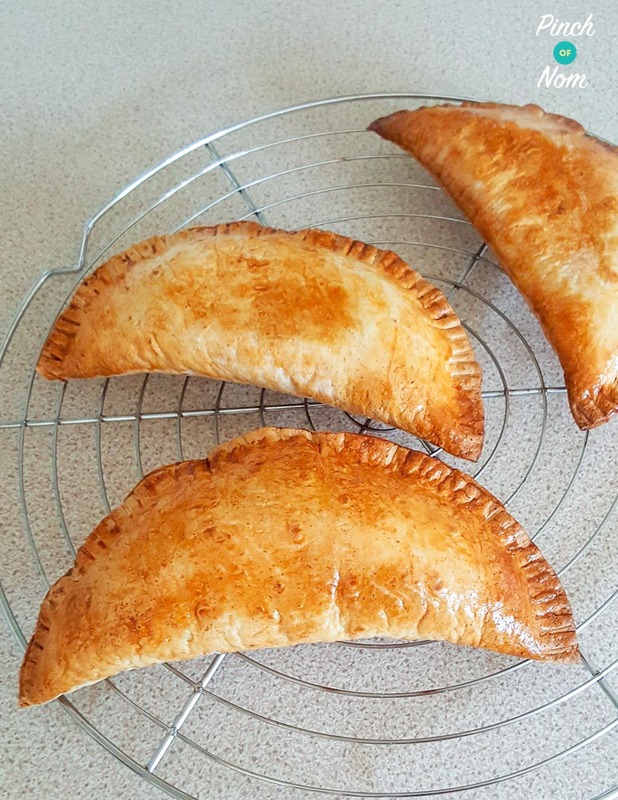 Using lean corned beef and vegetables as a filling, these pasties make a really satisfying meal, whether it’s served with Speed Vegetables and Syn Free Gravy, or you take one for a quick lunch, these are fab! If you’re a pie-lover, but would rather keep the Syns to a minimum, there are alternative toppings that you can use, rather than pastry. Our Half Syn Cumberland Pie is a real winner! Slices of potato that are golden and crisp on the outside and soft and fluffy inside. It’s also super easy to make, which is a bonus. Give it a try, tonight! 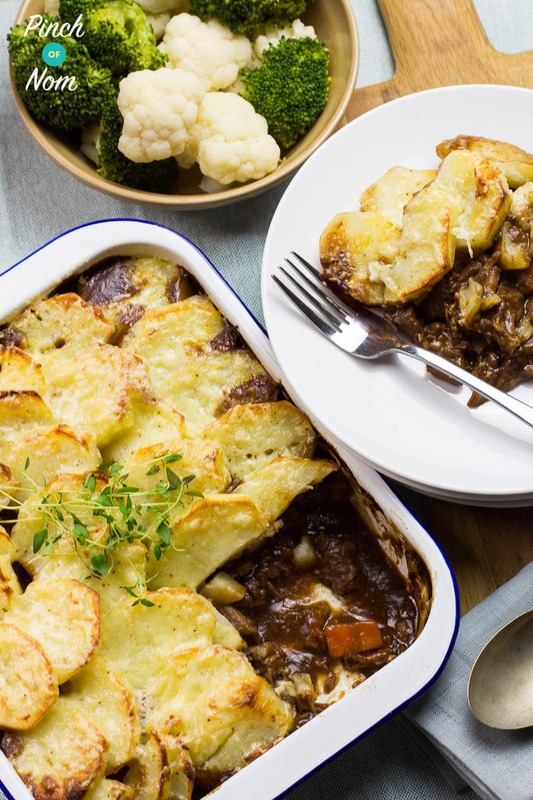 Cottage pie is a classic choice, perfect for the whole family to enjoy together and easy to prepare. 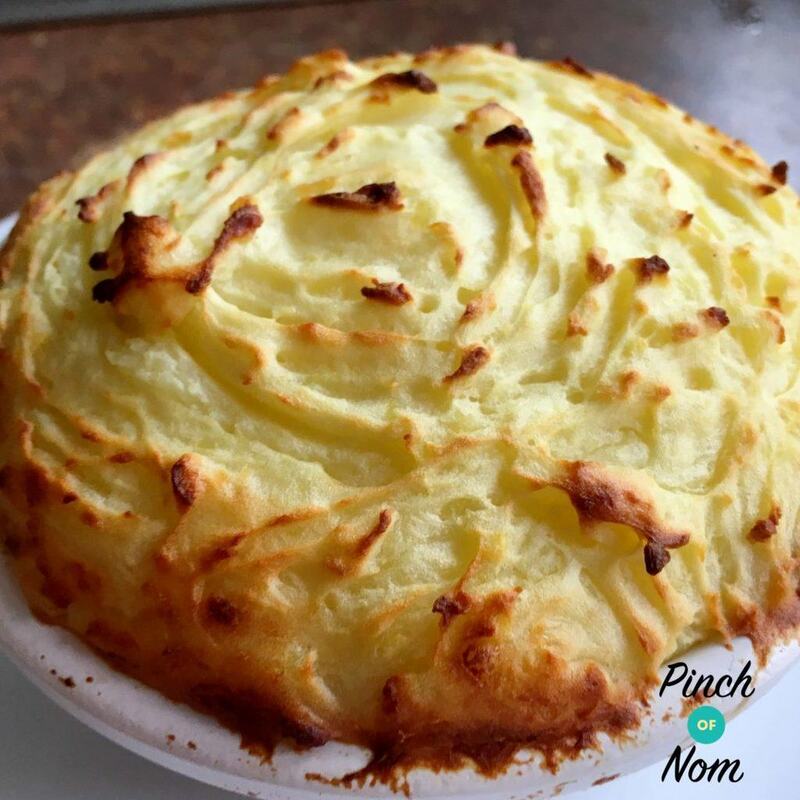 Our Syn Free Cottage Pie is filled with a warming and tasty savoury mince and topped with fluffy mash. It’s also great for batch cooking and freezing, so it’s ideal for preparing in advance. You can serve this with a pile of Speed Vegetables for a delicious, on-plan meal. 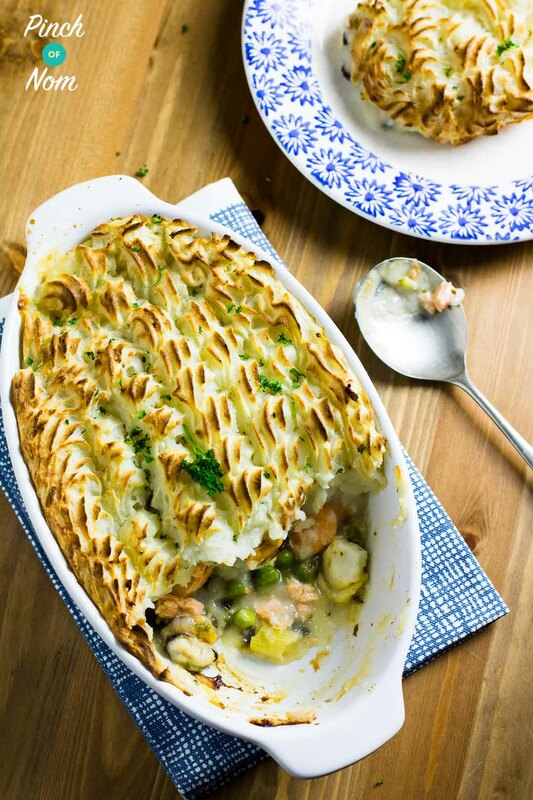 We’re thinking outside the box a little bit now, but a good fish pie recipe is great to have up your sleeve! This is another recipe that could be made in advance and kept in the freezer until you want it. Whilst we’re on the subject of pies, we mustn’t forget dessert pies! When I was a child, my mum used to make an amazing lemon meringue pie from scratch. These days, that old recipe would definitely be off the menu, as it probably contained a week’s worth of Syns! Eeeeek! 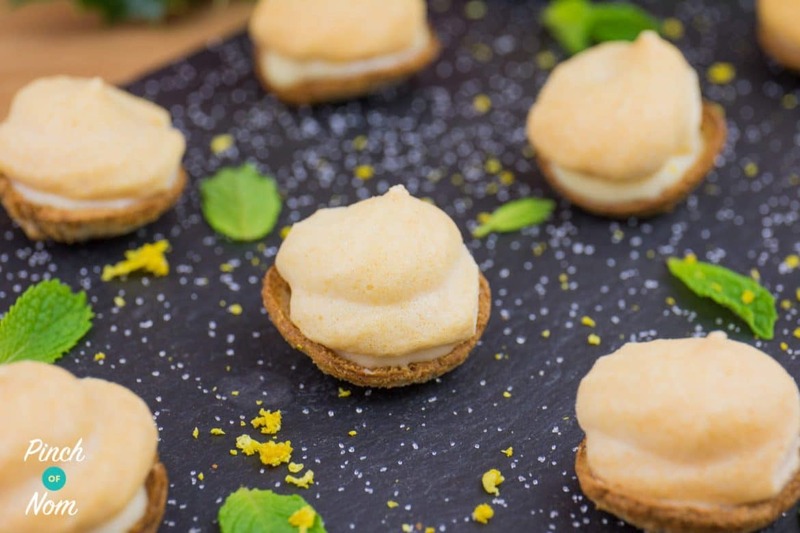 These Low Syn Bite Size Lemon Meringue Bites are bang on the money, Syns wise. They’re pretty tasty, too, so an ideal dessert option! Mmmm…I think I might whip up some of these for the weekend! We may be pushing the ‘Pie’ boundaries slightly with this last one, but it’s so tasty, we can’t possibly ignore it! This Low Syn Mississippi Mud Pie Cheesecake is a wonderfully decadent dessert, perfect to round off a meal with. If you’re planning a meal for Mothering Sunday, this would be ideal. Come join our Facebook group! We have over 520,000 members, who want to help you! You wouldn’t want to miss out on the fun would you?